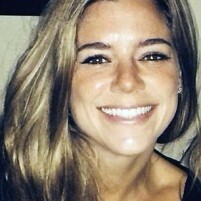 On July 1, Steinle, 32, was walking with her father along Pier 14 in San Francisco when she was shot in the back and killed. The gun used in the shooting was a service weapon that belonged to a BLM ranger, the federal agency has confirmed. In March, Lopez-Sanchez was transported from ICE custody to the San Francisco jail on 20-year-old drug charges. Prosecutors then dropped the charges, and the San Francisco Sheriff’s Department released Lopez-Sanchez, despite receiving a detainer request from ICE. San Francisco is a sanctuary city with a policy of not turning over inmates to ICE. Sheriff Ross Mirkarimi said his department released Lopez-Sanchez in accordance with city law. The Steinle family alleges Mirkarimi violated federal laws in March when he issued a memo barring jail staff from communicating with immigration officials about detainer requests. The claim names both Mirkarimi and the sheriff’s department. The family filed separate claims against the two federal agencies. The claim against BLM alleges the ranger left his loaded gun in a backpack in plain view in his car. The gun was stolen days before the shooting. In its claim against ICE, Steinle’s family faults immigration officials for not obtaining judicial notice or a warrant for Lopez-Sanchez’s arrest, as required by the city of San Francisco. Steinle’s death has ignited a national debate over the concept of sanctuary cities and federal restrictions that bar local law enforcement from handing off illegal immigrants to ICE. Jim Steinle, Kathryn’s father, testified before the U.S. Senate Judiciary Committee, urging lawmakers to abolish local policies of ignoring ICE detainers. I’m so sorry for your loss. No amount of money can possibly replace your daughter, but perhaps shining a bright light on the transgressions of our current country “leadership” will reveal all that is wrong and perhaps lead to some improvement. Thank you for your strength to pursue change and to endure the reminders of your loss. Immigration needs to be fixed. Illegals need to be eliminated through a vetted process of legal, accountable admission to the USA or through deportation.